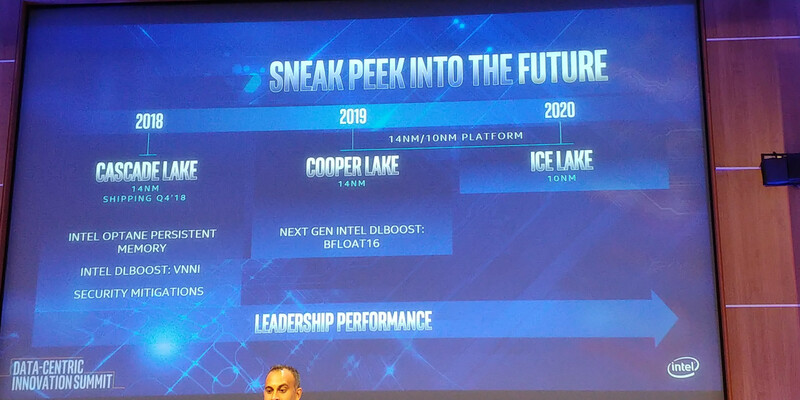 25 Comments on Intel "Cooper Lake" Latest 14nm Stopgap Between "Cascade Lake" and "Ice Lake"
So is this just another admission they cant get 10nm off of the ground? How many times can they re-release haswell? 14nm has been serving Intel quite well for consumer CPUs. Over the last 12 months Intel's stock has gone from 36.59 in August 17 to $49.96 August 2018. Revenue in Q2 was 16.96 billion up 15%. If the product does what it is supposed to and consumers prefer it 4-1 why rush? Because intel, one the leader of new fab processes with some of the best manufacturing facilities, is falling behind TSMC. Intel has watched their lead slip as AMD gets ryzen going, and seems to have nothing in the pipeline. Tesla has rising share prices and revenues too, doesnt mean the company isnt on massively shaky ground going forward. Same applies here. If intel cant get a new arch and new process off of the ground, AMD could end up catching or even passing them in a few years time. The MCM approach to CPUs is proving to scale better with multi core then intels monolith, and AMD's continued efforts to combat inter chip latency is proving fruitful. You really cant call it a "rush" when 10nm is now 3 years, looking to be 4 years late. At that point we call it "get your act together". Thank AMD for bringing competition via Ryzen. Because intel, one the leader of new fab processes with some of the best manufacturing facilities, is falling behind TSMC. This is where you're wrong. TSMC isn't ahead of Intel, because they're all using the same equipment built by ASML. It just happens that Intel wants to add an extra layer of patterning to draw smaller features. They feel the pain right now, but going forward everybody else will need that extra layer at some point. And then the tables will be turned. True, but intel should get the main pattern down first before bothering with smaller features. It's costing them a ton of money and wont pay off if it is just another marginal improvement. Those are details only known to Intel, I won't speculate. They're in a tough spot, no doubt about that. But the manufacturing process could turn out to be a boon, once they get past their troubles. ....seems I won't be building a new intel system for a while. Intel admitted their 10nm is worse performing than their 14. It's over. Everyone needs to deal with it. Even their 10nm+ will be inconsequentially better than 14++++++++++++++++++ lol. Do you have a link for that? I must have missed that part. I get none of your claims from that chart. As for "slightly better", you do know what a log scale is, don't you? This is a marketing baloney scale and they're years behind it. It's time to move on. It's so bad the CEO was fired lol. Yes, it's behind schedule and way over budget. But 10nm performing worse than 14nm is just something you pulled out of thin air. That graph only shows the _projected 2018 iteration_ of 10nm would be performing below the third 14nm iteration. That's already outdated, but if you compare similar iterations of 14 and 10nm, 10nm is still supposed to be better. "broken and can't be fixed" - even if true, you can't know that now. meltdown; spectre hardware fix? Whatever instructions intel introduces if they just kept selling sandybridge 4 and and now 6 core for mainstream, and refine 32nm to +++++++, it wouldn't have mattered. Now fp16 should remain in very specialised asics. Why cpu. 10nm+ Icelake Dual Channel coming out October 2019. 10nm+ Icelake Quad channels coming out Q3 2020. 14nm+++ CascadeLake 8 Gen Q4 2018 (28 Cores 5GHz) upcoming ASUS ROG Rampage VII board will be interesting. Why do I have an almost evil desire that Ryzen 2 or/and 3 to smoke all those 14nm+++++++++ CPUs that most likely will only bring higher freqs and IPC increase in 2 or 3% again. 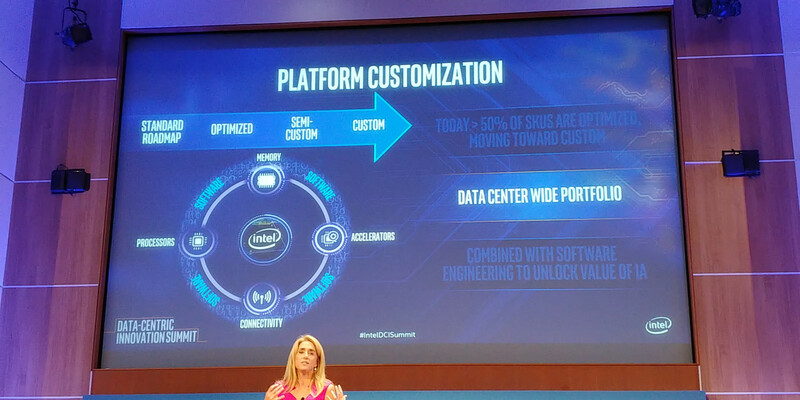 Intel ran the "well" dry, now they are draining the "lake"